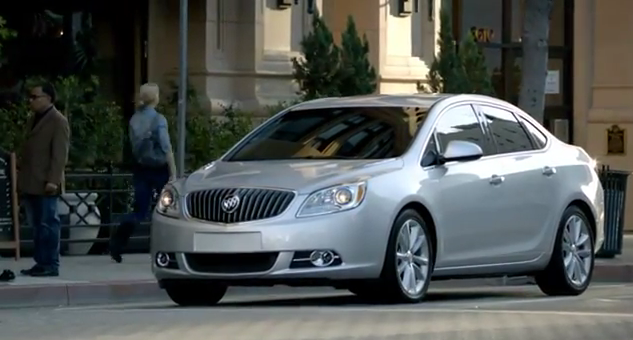 Buick’s Report Card ad for the new Verano plays on the “unexpected pleasures” theme seen in The Market spot. Report Card starts off with the fact that Stephen (the son) received his report card today; the dad (gotta love his expression here) picks up the card to look at poor Steve’s grades, only to find straight it covered with straight As. Then comes the kicker: the dad fist bumps Steve’s mom, to which Steve says a priceless “whatever”. The tagline, “Unexpected pleasures are the best part of life. Why not drive one everyday?”, rounds out of the spot. What I want to know is, why does the Verano have 6 ventiports on the hood?